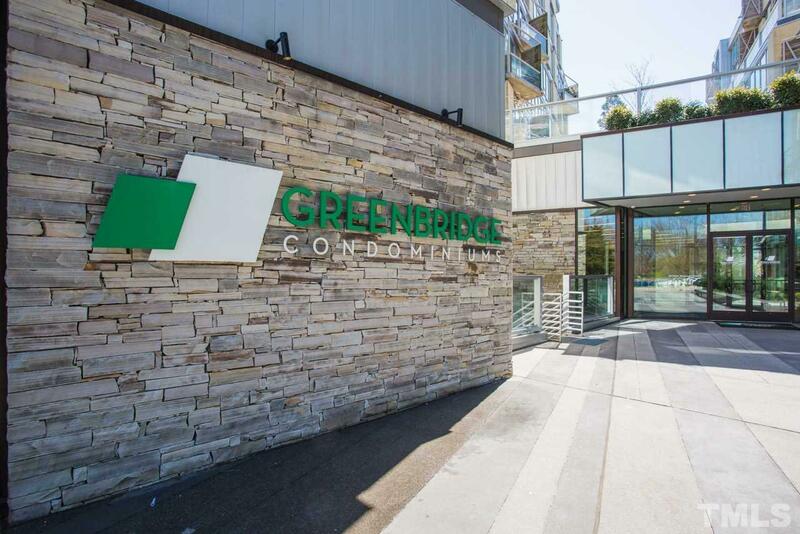 Greenbridge is modern minimalist living by design. 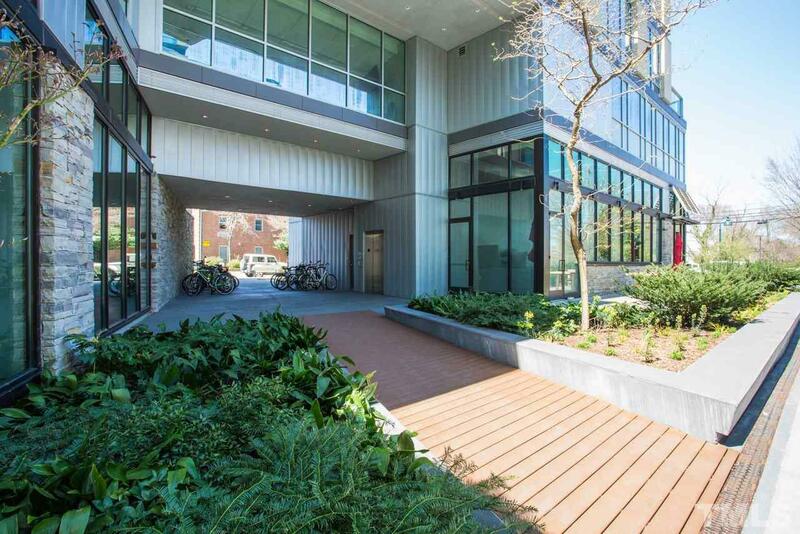 Green-built, sustainable, accessible, convenient. Walk, bike, or take public transportation to downtown Chapel Hill, Carrboro or UNC. Secure parking, concierge service, and amenity package that includes gym, movie, theater, rooftop deck and sky lounge. 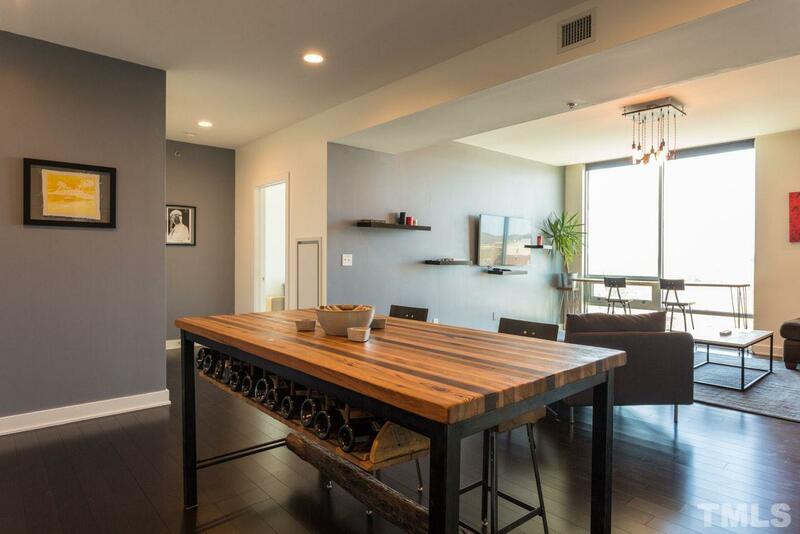 Take the elevator to the 6th floor of the West Wing to find your Dwell style flat. 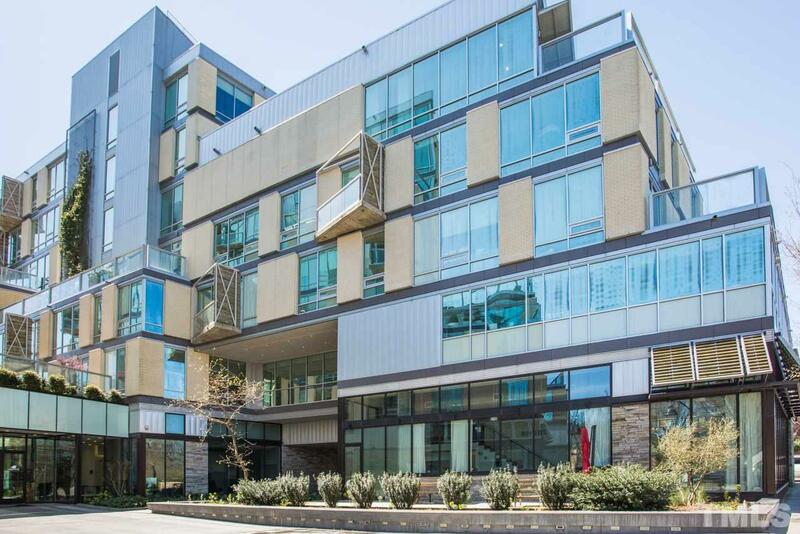 Urban industrial flair with dark floors, modern cabinetry, custom-built island and window bar with dramatic sunset views. Courtesy of Franklin Street Realty.